At the turn of the 20th century, physicians observed that some cancer patients who contracted an infectious viral disease saw their tumors spontaneously regress. A particularly compelling case report, published in 1904 by the American pathologist and clinician George Dock, told the story of a female leukemia patient he had treated some years earlier. Though she had failed to respond to conventional therapies, her white blood cell counts dropped sharply, and her leukemia went into remission after she contracted influenza in February 1897. Sadly, within a year her counts climbed back to preinfection levels, and she ultimately succumbed to her disease.1 But her case revealed a link between cancer regression, infection, and the body’s antiviral response. Today, researchers have made great progress in understanding how to use infectious viruses to directly kill tumor cells and to train the immune system to fight cancer. While there is currently only a single licensed oncolytic virotherapy on the market (in China), several other oncolytic platforms—including Amgen’s T-VEC and SillaJen’s Pexa-Vec—are currently in late-stage clinical trials, where they are showing tremendous promise in patients. Many more virus-based cancer therapies are under development in labs around the world. Cancer is a disease in which genetic mutations lead to dysregulated cell behavior and biology. Messages become garbled, cellular pathways go into overdrive, and control mechanisms are taken offline. Yet the very pathways that a tumor cell corrupts to ensure its own growth and survival also render it susceptible to viral infection. In 1923, Romanian physicians Constantin Levaditi and Stefan Nicolau were among the first to report on a “tumor-parasitizing” virus. They postulated that, “tumors are more susceptible to [certain] viruses than normal cells, and tumors act as a sponge attracting viral replication.”2 Researchers now know that viruses can and do target cancer, and their ability to distinguish between normal and cancerous cells depends on the collective effects of the mutations within a tumor. 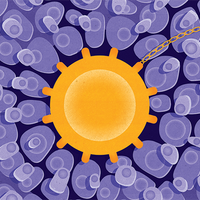 Tumors have alluring features that offer viruses a much greater chance of replication success. (See infographic.) The surfaces of tumor cells express a more diverse repertoire of receptors, providing viruses with extra grappling hooks that facilitate binding. Tumor cells can also quiet innate immune responses, such as interferon signaling, to avoid immune detection, affording viruses the same escape. Moreover, to support their prolific growth, tumors boost levels of nucleotides, which can be siphoned off by viruses to generate their own infectious progeny. Finally, tumors can deactivate cell-death pathways to become immortal, providing a long-term residence for viral invaders. But the relationship between viruses and cancer is not mutually beneficial. 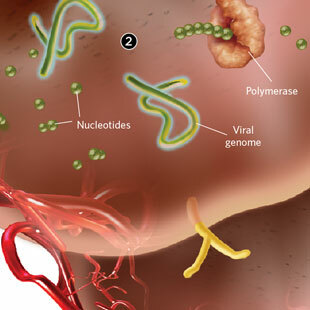 Once viruses have reached tumors, they lyse and destroy cancerous cells over the course of the viral life cycle. They also shut down tumor blood supply, activate tumor-specific immune cells, and reverse immunosuppressive tumor microenvironments. As was first suspected more than a century ago, these viruses, termed oncolytic viruses, are efficient and potent killers of cancer. Oncolytic viruses not only kill cancer cells directly, they also help train the immune system to view cancer as a threat. In the mid-1950s, researchers at the National Institutes of Health (NIH) were among the first to develop oncolytic virotherapy as a controlled and clinical treatment for cancer, after observing that adenovirus could kill HeLa cells in culture. They administered oncolytic adenovirus to cervical cancer patients, and observed that many tumors began to slough away and regress. But ultimately none of the patients survived their cancers.3 Around the same time, early chemotherapies were proving to be robust anticancer agents, and despite severe toxicities, this strategy eclipsed biological oncolytic virotherapy and became a front-line treatment for cancer. It would be another 20 years before oncolytic viruses resurfaced as an area of study in cancer research. When they did, they came back with a bang. In 1974, the Japanese physician Teruo Asada published a series of strikingly powerful photos of various patients’ tumors before and after treatment with mumps virus.4 These images highlighted the tremendous tumor-reducing power of oncolytic virotherapy and renewed the interest of cancer researchers around the world. Viruses exist all around us: in the air, soil, and water, as well as in living organisms. While many human viruses are potent cancer killers, they are also associated with an unacceptable level of risk, as viruses have evolved a medley of tricks that make it difficult for the immune system to contain them. The perfect oncolytic virus strikes a balance between anticancer activity and safety, allowing the immune system to control and ultimately shut down the virus using antibodies, T cells, natural killer cells, and other immune helpers once the virus has performed its cancer-killing duties. 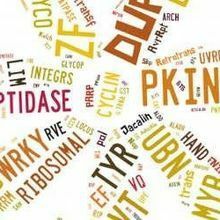 Every virus has a unique character, and selecting one that can safely kill cancer is difficult. Historically, a huge effort has gone into finding naturally effective oncolytic viruses. 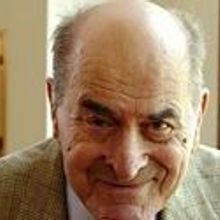 One of the first reports of a screen designed to identify nonhuman animal viruses with cancer-killing properties was published in 1963 by William Hammon of the University of Pittsburgh.5 Hammon analyzed 24 viruses from cats, cows, monkeys, horses, and pigs, and found six potential cancer killers that were safe in humans. This list was finally narrowed down to two: a bovine and an equine herpesvirus, both of which are still being studied today for their oncolytic properties. Since then, oncolytic viruses have been identified from such diverse virus families as adenovirus, herpesvirus, rhabdovirus, poxvirus, paramyxovirus, reovirus, togavirus, parvovirus, and picornavirus. Many of these viruses are being developed for clinical use, with no less than 50 oncolytic virus–based clinical trials currently underway, according to clinicaltrials.gov. Here in David Stojdl’s lab at the Children’s Hospital of Eastern Ontario Research Institute in Ottawa, Canada, we have focused on finding oncolytic candidates within the rhabdovirus family of bullet-shaped, enveloped, single-stranded RNA viruses. After panning through biobanks of rhabdoviruses isolated from all over the world, we struck oncolytic gold with Maraba virus, which was first isolated from a male sandfly in 1983 by Yale University’s Robert Tesh during an expedition to the Amazon Basin in Brazil. The virus remained virtually unexplored until 2010, when we discovered that Maraba was a formidable cancer killer, chewing through cells of colon, breast, central nervous system, skin, lung, ovary, and prostate tumors.6 Since then, we have bolted on extra genetic hardware, and, with promising safety and efficacy results in mice and monkeys, Maraba virus is set to make its debut in cancer patients in Phase 1 clinical trials later this year. THE ALL-POWERFUL VIRUS: More than 50 oncolytic viruses are currently being tested in clinical trials, thanks to their ability to target and kill tumor cells. Researchers have characterized the inherent cancer-killing potential of adenovirus, herpesvirus, rhabdovirus, poxvirus, paramyxovirus, parvovirus, and more. Many groups are now using modern technologies to improve the viruses’ specificity and efficacy. 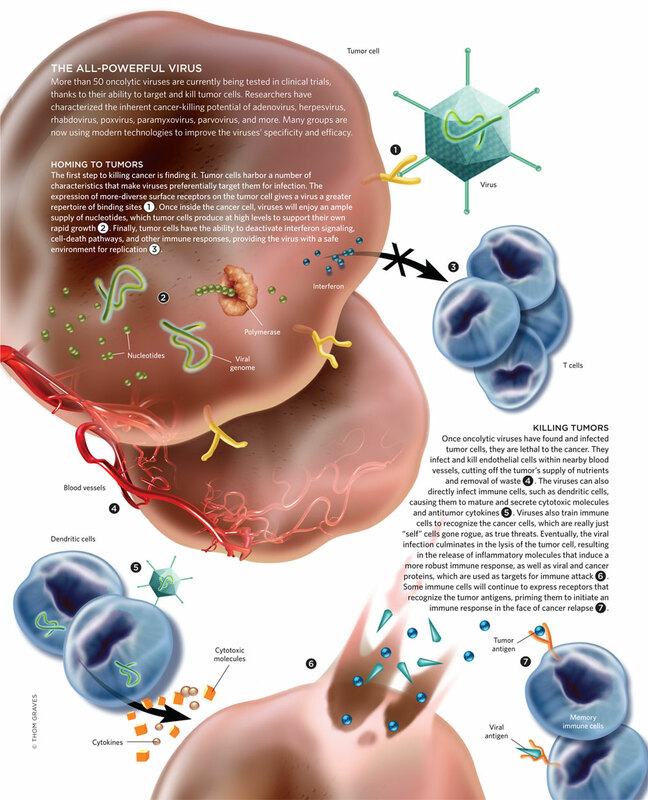 See full infographic: JPG | PDF© THOM GRAVESIn addition to working with naturally existing oncolytic viruses, we can create new, more powerful oncolytic viruses through bioselection, a process that passes viruses through several rounds of replication in tumor tissue or exposes them to UV light to encourage the emergence of new, genetically reassorted isolates and mutants. Such derivative viruses often have features that are more desirable than those of their parents, such as spreading more efficiently through susceptible cells; replicating more quickly to produce bigger viral populations; or forming greater numbers of syncytia, in which an infected cell fuses with its neighbors to form a giant multinucleated cell brimming with viruses. With the advent of simple yet powerful genetic recombination technology in the 1990s, it has become even easier to tweak the safety and efficacy profiles of oncolytic viruses. While many viruses show an inherent affinity for tumor over normal tissue, we can genetically engineer mutations that widen this differential by conferring greater replication dependence on common tumor features. In fact, two of the top clinical candidates currently in advanced-stage trials, Amgen’s T-VEC and SillaJen’s Pexa-Vec, contain mutations that lock in their tumor specificity by gutting the viruses’ ability to replicate in the absence of an attenuated interferon response. Our own Maraba virus clinical candidate contains protein mutations that not only improve tumor specificity by the same mechanism, but also boost replication rates in tumor cells and enhance cytotoxic effects. Oncolytic viruses not only kill cancer cells directly, they also help train the immune system to view cancer as a threat. At the heart of the immune system’s response to viruses is its biological recognition software, which gets reinforced, updated, and improved through years of pathogen exposure. Learning more about these processes has allowed us to create protective immunity firewalls using similar, but safe, viruses as vaccines. The idea of using relatively benign, low-risk viruses to prevent or treat disease is not a modern one. Virus-based vaccines, which use natural or engineered infectious viruses studded with danger signals to train the immune system to recognize infectious threats, have successfully eradicated smallpox, and continue to control many otherwise debilitating childhood infections, including measles, polio, and varicella zoster (chickenpox) virus. Oncolytic virotherapy extends the idea of virus-mediated immune training to the treatment of cancer. Since a tumor is essentially a large mass of overgrown “self” tissue, the immune system has trouble breaching its own strict barriers that prevent potentially lethal autoimmune reactions. Oncolytic viruses can unmask the tumor to reveal a mutated, dangerous version of self, and train the immune system to attack it. After infecting cancer cells, oncolytic viruses lyse them open, spilling a soup of inflammatory molecules, cancer proteins, and pathogenic debris. Self proteins that get mixed up in this dangerous broth become temporary immune system targets until this inflammation gets resolved. The immune system then mops up and safely neutralizes any remaining virus, and remembers these dangerous targets, virus and cancer alike. Such oncolytic virus therapies can be improved even further by morphing oncolytic viruses into bona fide cancer vaccines. To do this, oncolytic viruses are coated with fragments of cancer cell proteins that mask their own molecular outfit, causing the immune response to focus on the cancer proteins rather than on the virus itself. Researchers within the Cancer Vaccine Collaborative, from both the Krankenhaus Nordwest in Frankfurt, Germany, and Roswell Park Memorial Institute in Buffalo, New York, have successfully used a mix of oncolytic and nononcolytic virus vaccines coated with the common cancer antigen NY-ESO-1 to train melanoma patients’ immune cells to react against this key tumor target.9 Those patients receiving a vaccinia vaccine “prime” followed by a fowlpox vaccine “boost” lived longer, and those that had the highest number of immune cells reacting against the NY-ESO-1 cancer target did the best. Getting the immune system on the right side of the battle against cancer can greatly impact the treatment of metastatic dis­ease. It seems increasingly clear that the long-term solution for treating cancer lies with the immune system. If immune responses can be retrained to recognize tumors in the same way that they recognize infectious agents, we will undoubtedly enter a golden age of cancer therapy. 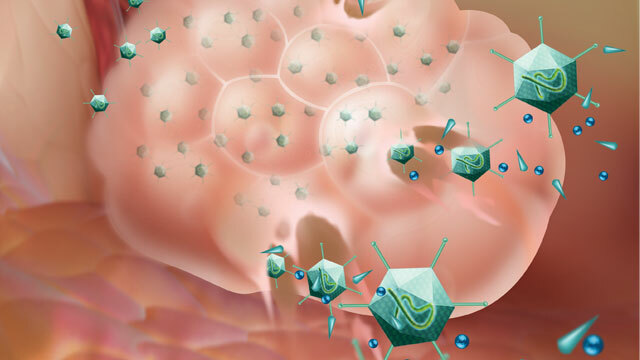 Oncolytic viruses combine infectious immune stimulation with tumor targeting to overhaul the immune system and activate multiple anticancer pathways, and several oncolytic virus combination therapies are generating long-term remissions in cancer patients. Stephanie Swift is a scientist and science writer in the lab of David Stojdl at the Children’s Hospital of Eastern Ontario Research Institute in Ottawa, Canada. She blogs about science news at mmmbitesizescience.com. G. Dock, “The influence of complicating diseases upon leukemia,” Am J Med Sci, 127:563-92, 1904. C. Levaditi, S. Nicolau, “Vaccine et néoplasmes,” Ann Inst Pasteur, 37:443-47, 1923. R.R. Smith et al., “Studies on the use of viruses in the treatment of carcinoma of the cervix,” Cancer, 9:1211-18, 1956. T. Asada, “Treatment of human cancer with mumps virus,” Cancer, 34:1907-28, 1974. W.M. Hammon et al., “Oncolytic potentials of nonhuman viruses for human cancer. I. Effects of twenty-four viruses on human cancer cell lines,” J Nat Cancer Inst, 31:329-45, 1963. 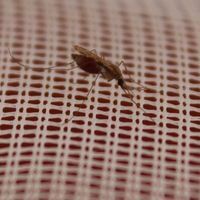 J. Brun et al., “Identification of genetically modified Maraba virus as an oncolytic rhabdovirus,” Mol Ther, 18:1440-49, 2010. R. Cawood et al., “Use of tissue-specific microRNA to control pathology of wild-type adenovirus without attenuation of its ability to kill cancer cells,” PLOS Pathog, 5 (5):e1000440, 2009. R.E. Edge et al., “A let-7-specific MicroRNA-sensitive vesicular stomatitis virus demonstrates tumor-specific replication,”, Mol Ther, 16:1437-43, 2008. K. Odunsi et al., “Efficacy of vaccination with recombinant vaccinia and fowlpox vectors expressing NY-ESO-1 antigen in ovarian cancer and melanoma patients,” PNAS, 109:5797-802, 2012. J. Zhang et al., “Maraba MG1 virus enhances natural killer cell function via conventional dendritic cells to reduce postoperative metastatic disease,” Mol Ther, doi:10.1038/mt.2014.60, 2014. D. Zamarin et al., “Localized oncolytic virotherapy overcomes systemic tumor resistance to immune checkpoint blockade immunotherapy,” Science Trans Med, 6:226ra32, 2014. H.L. Kaufman, S.D. Bines, “OPTIM trial: A Phase III trial of an oncolytic herpes virus encoding GM-CSF for unresectable stage III or IV melanoma,” Future Oncology, 6:941-49, 2010. G.Q. Phan, S.A. Rosenberg, “Adoptive cell transfer for patients with metastatic melanoma: the potential and promise of cancer immunotherapy,” Cancer Control, 20:289-97, 2013. M. Kalos et al., “T cells with chimeric antigen receptors have potent antitumor effects and can establish memory in patients with advanced leukemia,” Science Trans Med, 3:95ra73, 2011. F. Le Boeuf et al., “Model-based rational design of an oncolytic virus with improved therapeutic potential,” Nat Comm, 4:1974, 2013.